It’s been a busy couple of weeks, and my wife and I haven’t had a lot of time to spend with just each other. We were able to have our first Friday lunch date of the school year last week, but we decided to take advantage of the fact that we had nothing going on this past weekend and have a date night on Friday as well. Our destination was a recently remodeled bowling alley nearby that advertised having bowling lanes, a game room, and laser tag. As I slid into my mini-van seat, I realized I had forgotten something. I hopped back out, ran inside, and returned with a booklet. I dropped the booklet between the front seats, and looked at my wife who had a puzzled look on her face. A few days earlier, a knock at the front door turned out to be a neighbor boy who was selling coupon booklets as a fund-raiser. I had purchased one to help out the boy’s fundraising efforts, not really knowing whether or not the booklet actually contained any coupons that we would use. When we made our date plans, I remembered seeing coupons for the bowling alley that we were headed to. When we arrived at the facility, we discovered it actually had two separate bowling areas. The first was the general bowling area, and was about 80% full mainly with teenagers. The second was a smaller area called “suite bowling.” It had six lanes, and sports were being shown on dual 24 foot, high definition projection screens above the lanes. The pins were lit up in neon colors, and the area even had it’s own bar. It was much quieter there, as only one other group of adults were bowling in the area at the time we walked in. I told the employee at the counter I wanted to pay for one game of bowling for both my wife and I. I ripped out a Buy One Game Get One Game Free coupon from my booklet, saving $8.00. When we were done with our game of bowing, we sat in the comfortable lounge couches next to our lane and finished our beverage. It was quiet, and we were having a good time. We decided that we wanted to check out laser tag next. At the laser tag reservation desk, I ordered up a round for my wife and I. He punched some buttons on the cash register, and without looking up said, “That will be $8.79 each.” I pulled out my coupon book and ripped out a coupon for a free game of laser tag, saving the price of one admission. On the way home, we decided we were a little hungry. Vonnie suggested we hit up the Arby’s drive through. As instructed, I ordered a medium Roast Beef. “Sandwich only,” I tacked on at the end. Vonnie doesn’t care for the curly fries, and we had soda at home. “Aren’t you going to get anything?” She asked. “Nah, I’ll just grab something at home.” Which was a half lie, because I knew exactly what was going to happen. Once at home, Vonnie opened her sandwich, and made a comment that there was too much roast beef. I went and grabbed a bun from the bread drawer and returned to the couch to take the extra roast beef she had removed from her sandwich and put in my bun. Arby’s for both of us. SWEET. Not too bad for everything that was included in the date. The great thing about married people dates is that we aren’t trying to impress each other with how much we spend. I can comfortably whip out a coupon book in full view, request that we wait until we get home to get a drink for our food, and even skim the extra roast beef off her sandwich. We understand that the point of the date is to spend time with each other. The less we spend on one thing, the more we have to spend on something else. Do you use coupons on your married people (or long term relationship) dates? Would you share your Arby’s roast beef with me??? We frequently use a buy one get one 1/2 off coupon for our favorite breakfast place. And a restaurant we frequently go to often has a $10 off a $20 purchase coupon. For that one, we also have a rewards card and the full cost of our meal generates points. Several times, we have had enough points to get a free meal for both of us and all we have to spend is the tip. Most restaurant coupons don’t seem to be for very much ($5) when considering the total cost of the meal but wen we can get one meal for half or almost free, that’s a sweet deal for us. I agree, Kathy – it’s hard to find a great deal at a restaurant….sounds like you’ve found a nice combination to get a meaningful savings! I don’t think I’m sharing my sandwich with you. 🙂 We often use coupons when going out. I have a couple of free movie tickets that have been burning a hole in my pocket. I don’t blame you for not sharing, Brian. LOL. Free movie tickets ROCK! My hubby and I use coupons quite often. I love to use them with the grandkids, too. 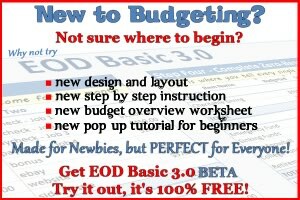 (You’re never to young to learn to budget!) Hub and I also take advantage of the “Half price apps” that some restaurants offer during select hours. You get the atmosphere of the restaurant without having to buy a pricey meal. Teach ’em young, Sassy Mamaw – Coupons are COOL! That sounds like a great date night! We usually split a meal on our date night because it’s too much food for one person. We always go for coupons or a discount too. Our date night budget is only $40. It was a definitely a fun night! I hear you on the size of a meal…..many restaurants have CRAZY big portions! The boyfriend and I are big netflix and delivery fans. Best nights ever ! Sounds perfect to me, Stefanie! The last guy I was seeing, we actually limited our dates to $20. It was a fun challenge for both of us as we came up with frugal, great date ideas! That truly would be a challenge, Sylvia!